Before and after photos and video testimonials from patients who have chosen the QuickLift face lift procedure can be viewed at www.quickliftmd.com. To schedule a consultation with Dr. Jones or for more information, call 1-800-321-LIFT. Dr. Mark Mitchell Jones is board certified in Plastic and Reconstructive Surgery and in Otolaryngology — Head and Neck Surgery. Dr. Jones’s training is unusual in both quality and quantity as there are few surgeons who have had such an extensive preparation. Beginning his education at Emory University in Atlanta where he completed his pre-med studies, he went on to attend the University of Canterbury in New Zealand, and the Honours School of Physiology in Medical School at Oxford University, England. He completed his medical degree at the Medical College of Georgia, earning four degrees in just four years. After graduating from medical school, Dr. Jones went on to complete twelve years of surgical training, which included studying general surgery at the Medical University Hospital in Charleston, South Carolina; facial surgery at John Hopkins Hospital and plastic surgery at Stanford University in California. As a representative of Stanford University, Dr. Jones was given a Fulbright Fellowship to study plastic surgery in Paris, France. In 1989, Dr. Jones returned to his home state of Georgia to establish his private medical practice and help make Atlanta a center of expertise in plastic surgery. 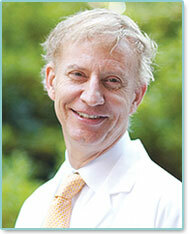 His professional papers have appeared in several medical journals, including The Annals of Plastic Surgery. Dr. Jones has presented at multiple medical conferences and has been quoted in and interviewed for several magazines including Women’s Daily and for CBS television’s Sixty Minutes by Diane Sawyer. The QuickLift®, developed by Dominic Brandy, MD and performed by doctors across the country who have been personally trained by him, is an improved version of the S-Lift. Unlike procedures with similar names that tighten only skin, the QuickLift permanently suspends the underlying structures of the lower face (SMAS). The QuickLift provides and overall lower- to mid- facelift and improves the appearance of the upper neck, offering significant age-diminishing effects with minimal downtime and lasting results.